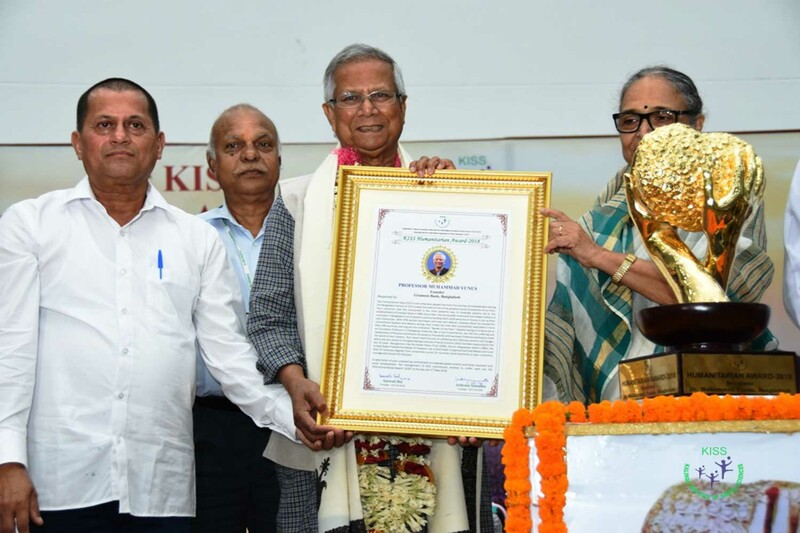 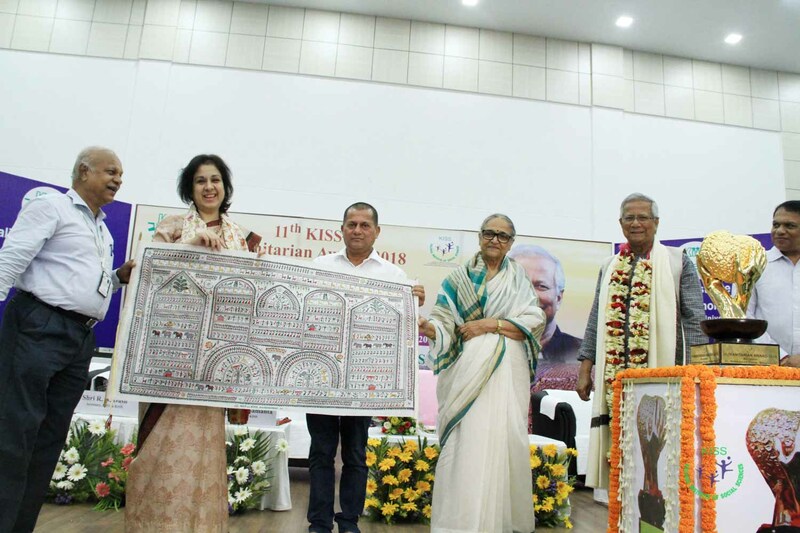 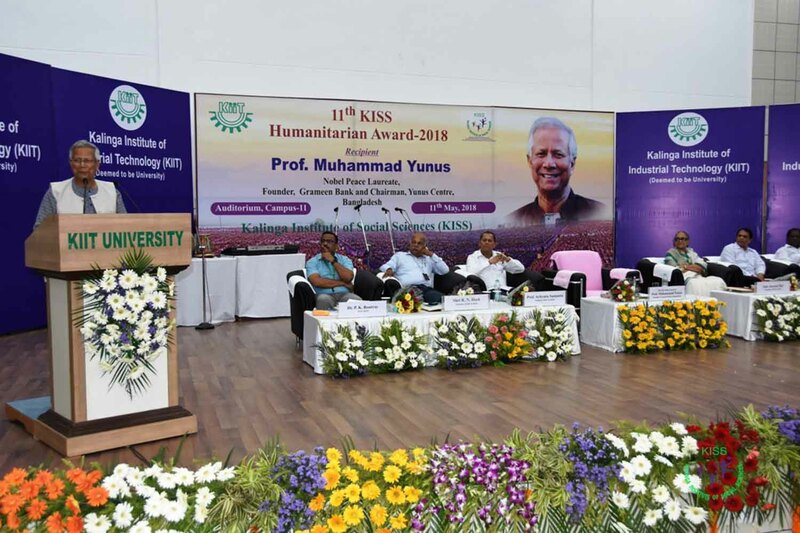 Prof. Muhammad Yunus, founder of the Grameen Bank, Bangladesh was conferred with the 11th KISS Humanitarian Award on 11 May 2018. 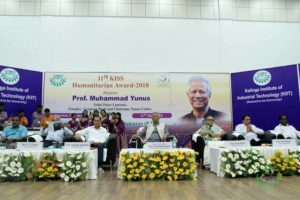 Prof. Yunus is the second Nobel Prize awardee to get the KISS Humanitarian Award after Dalai Lama, the spiritual leader of Tibet, who received the award last year on November 21. 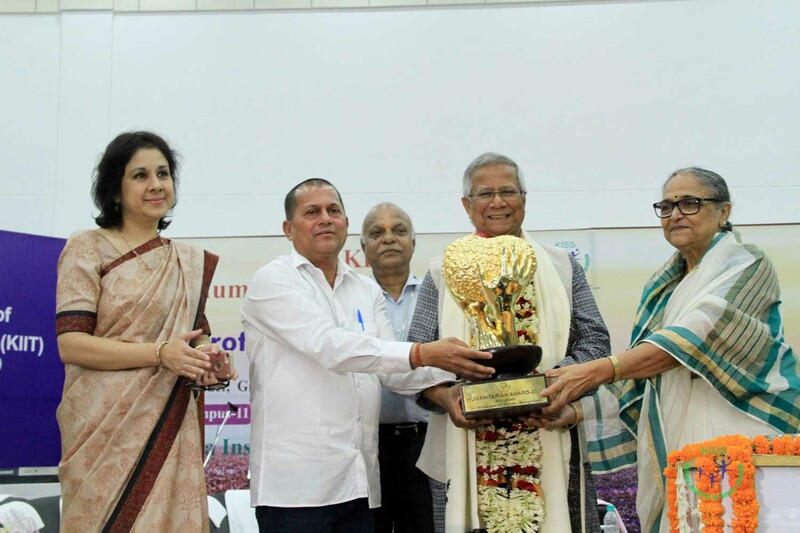 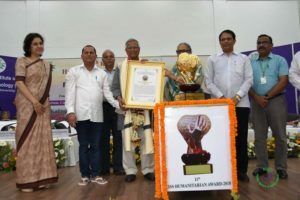 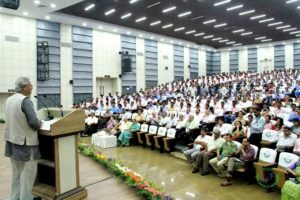 The KISS Humanitarian Award was instituted in 2008 by the founder of KIIT and KISS Dr Achyuta Samanta to honour and recognise individuals with an exceptionally high contribution to the society in various fields related to social issues. With utmost humility, he said, “Going through this experience, I feel awkward. 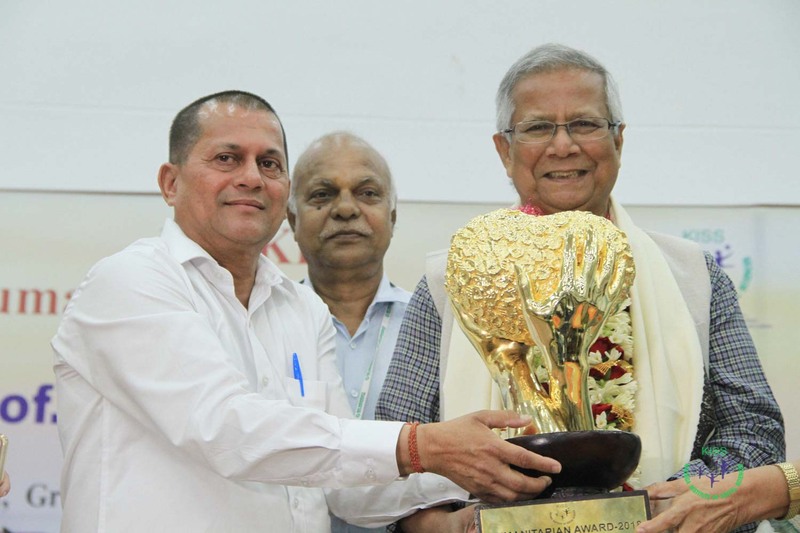 The most deserving person to get the award is Dr Samanta. 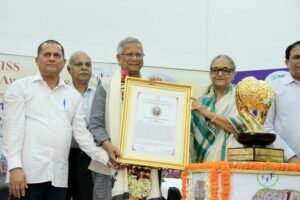 I offer the award to him. 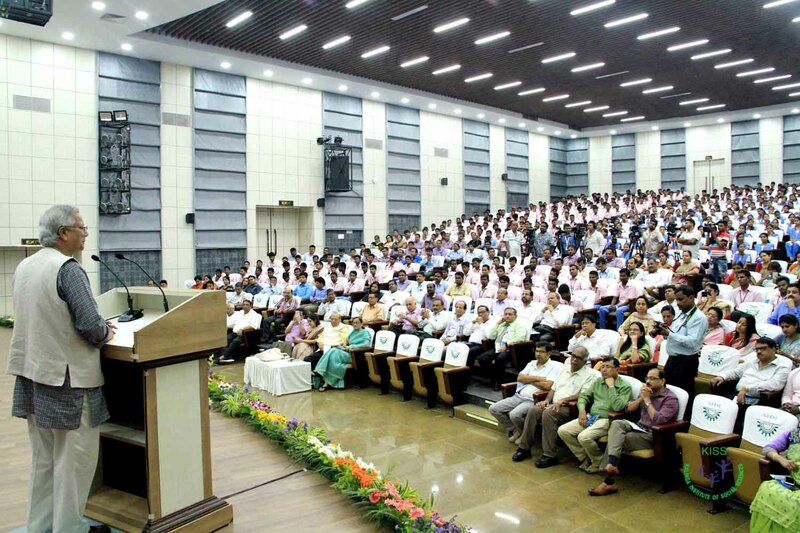 Many other events are slated for the day. Prof. Yunus will launch his book ” A world of three Zeroes“. 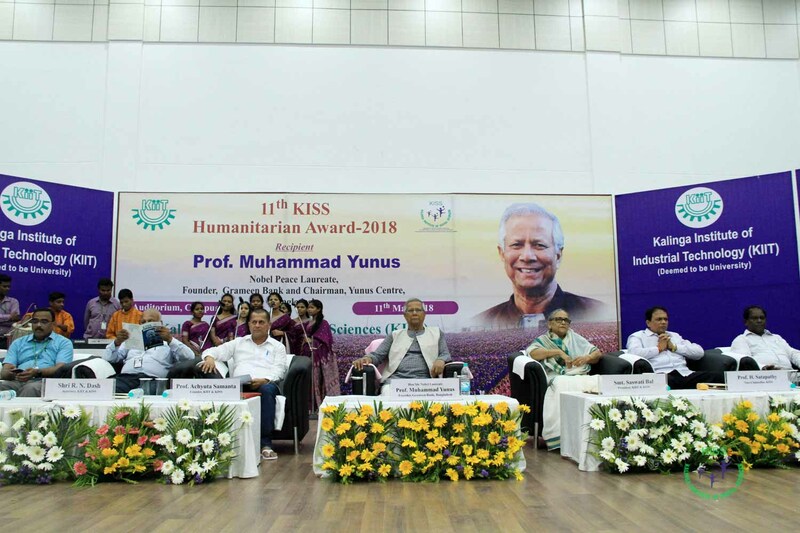 KISS will also sign MoU with Yunus Centre for Social Business. The other prominent individuals who have received the prestigious award are – Edna Bomo Molewa, (2008), Dr Kee Sun Ham, President & Founder of Hanseo University, South Korea (2009), Sir Anerood Jugnauth, His Excellency the President of Mauritius (2010), Rt. 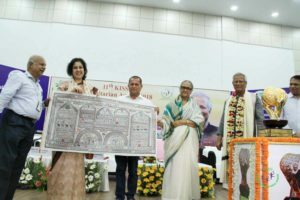 Hon Lord Nicholas Addison Phillips, President (Chief Justice) of the Supreme Court of U.K (2011), Lyonchhen Jigmi Y. Thinley, Hon’ble Prime Minister, The Royal Government of Bhutan (2012), Madam Albina Du Boisrouvray, Founder, Association François-Xavier Bagnoud (FXB International), Switzerland (2013), Anne Stenhammer, Former Regional Programme Director, UN Women, South Asia Regional Office (2014), Albina Du Boisrouvray, Founder, Association François-Xavier Bagnoud (FXB International), Switzerland (2015) and Hollywood actor and United Nations Population Fund (UNFPA) Global Goodwill Ambassador Ashley Judd (2016).